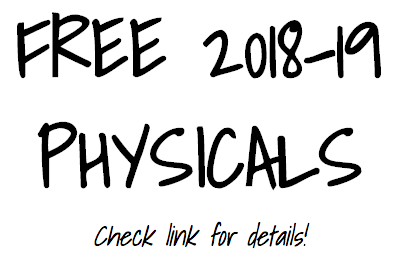 Current 6th-11th grade students are able to receive physicals good for the 2018-19 school year on May 10th courtesy of Dr. Mark Hostettler and Jessica Klaus, PA. Everyone is encouraged to get a physical on this date even if you're not sure about competing in a sport next year. Physicals are also required for a work permit. All paperwork must be completed electronically via FinalForms by May 1st to receive a free physical on May 10th. Information about the free physicals and FinalForms can be found HERE. Please call the athletic department at 330-821-3972 with any questions.